In this image released by the U.S. Navy courtesy of Lockheed Martin, the U.S. Navy variant of the F-35 Joint Strike Fighter, the F-35C, conducts a test flight February 11, 2011 over the Chesapeake Bay. Lt. Cmdr. Eric "Magic" Buus flew the F-35C for two hours, checking instruments that will measure structural loads on the airframe during flight maneuvers. The F-35C is distinct from the F-35A and F-35B variants with larger wing surfaces and reinforced landing gear for greater control when operating in the demanding carrier take-off and landing environment. 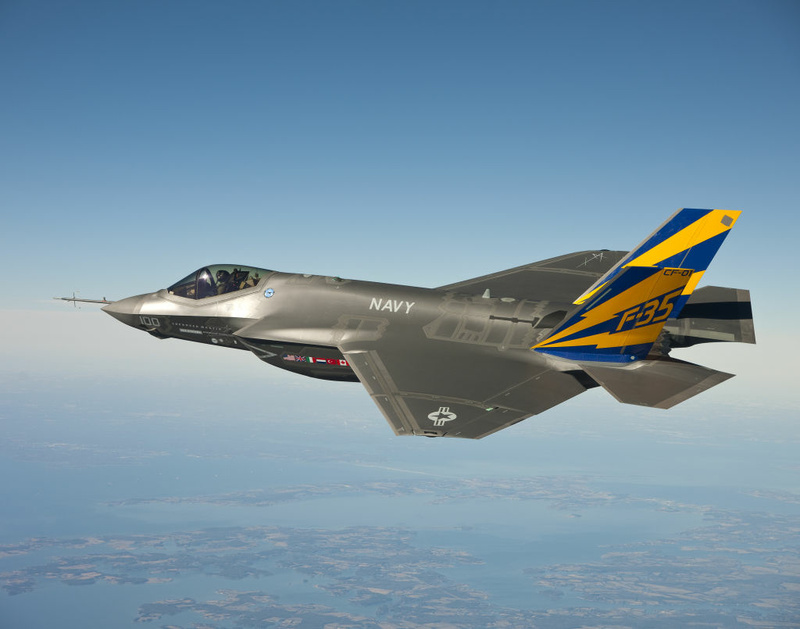 It's years behind schedule and billions over budget, but the military's F-35 fighter plane is inching closer to reality. For the first time ever, the U.S. Air Force test-fired a missile from the jet while in flight yesterday in an event the military is hailing as a crucial step toward proving combat capability. For more on this, we're joined by William Hartung, director of the Arms and Security Project at the Center for International Policy.